Cannon Ball, ND – While many Americans passively support the Standing Rock Sioux’s fight to stop the construction of the Dakota Access Pipeline, aside from showing up in Cannon Ball, North Dakota (which many simply can’t do) – to actively participate in the protests – most people are unsure of what they can actually do to support the Sioux at Standing Rock aside from posting on social media. Here is a list of ten things that people can do to show their support. Some methods may be more effective than others, but the key is utilizing multiple avenues of resistance in an effort to provide full spectrum resistance against the construction of the Dakota Access Pipeline. The most effective means of showing support for this cause is to actively participate in protecting this sacred land. Anyone who is able to travel to the peaceful encampments is encouraged to do so. 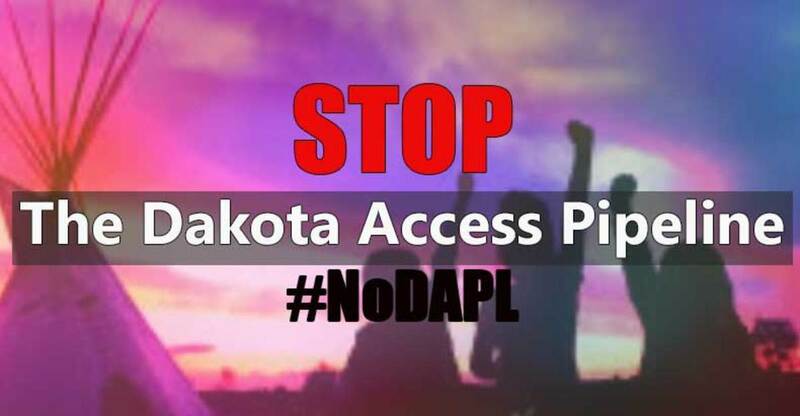 For those unable to make the journey to North Dakota, please utilize the alternate methods provided to show your support for the Standing Rock Sioux who have united over 100 tribes from across the U.S. Please join this effort to stop this pipeline, which desecrates sacred lands and has serious potential to damage or destroy the Standing Rock reservations lifeblood – its water.